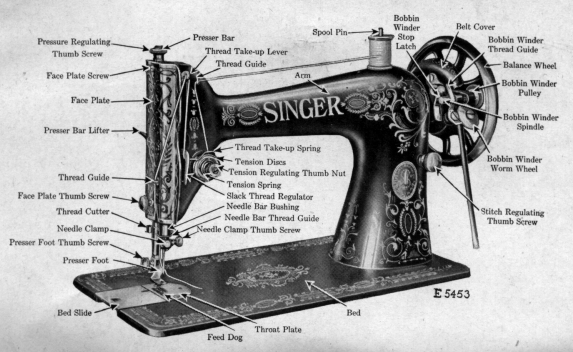 A black and white diagram of the top of a Singer treadle sewing machine; the sewing machine parts. The diagram shows the machine with wheel on the right, bobbin on the top and foot on the left. 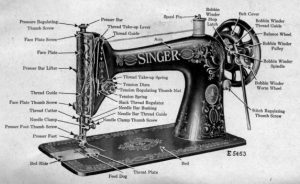 The SINGER brand is clear along the body of the machine. All parts are labelled from Feed Dog to Belt Cover. There are 37 separate parts. It’s a diagram and an illustration rolled into one.